Hello Ladies! I know I saw this every month but I really can't beleive how quickly this year is going! It seems like just yesterday that we were all celebrating the New Year, now it's March and I only have a couple of months left in London! It's really sunk in for me this week just how fast time is flying, on Wednesday I went back to Bournemouth to choose my options for my final year at Uni which was definitely more scary than exciting - it's fair to say I'm not looking forward to the work and stresses of final year! Anyway enough about me, I'll stop rambling and get on with telling you which products I've been loving this month. 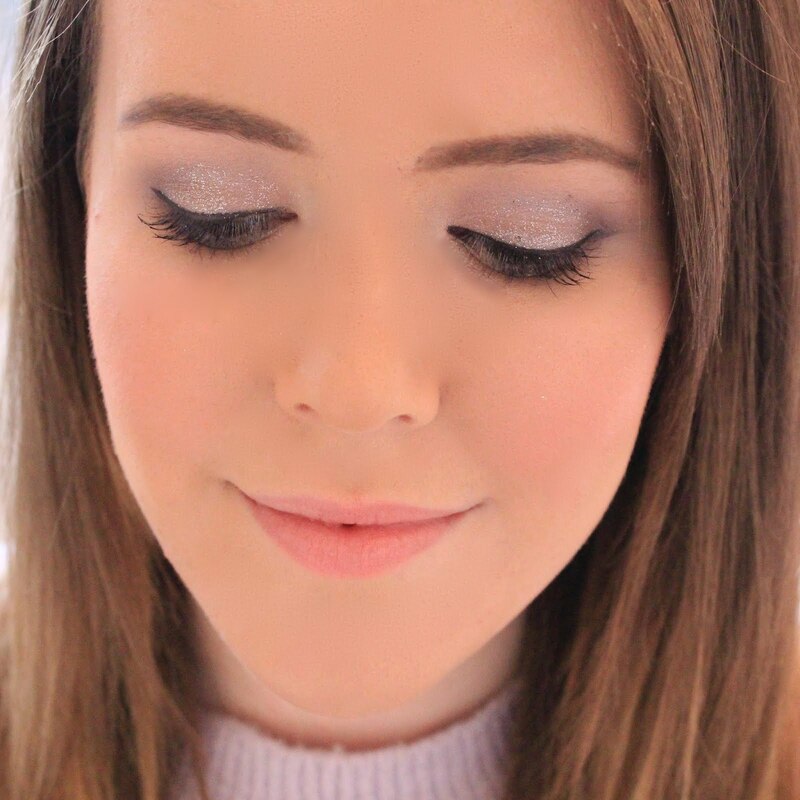 MAC Mineralise Skinfinish in Soft & Gentle (review HERE) - I've been really loving MAC again this month and have purchased a couple of new eyeshadows and this beauty of a product. For the past couple of months I haven't really been that interested in MAC products but my love is back in full force, while my credit card weeps in the corner. I picked this up at the end of January and I've been using it every day since, it's a beautiful champagne colour highlight which isn't too sparkly. It just adds a subtle sheen to your face and really adds the finishing touches to any make up look. I can see this being something which I'll be endlessly repurchasing as I just love it so much, however there is a lot of product in the pan so luckily for me, this will last me a long time. MAC Blusher in Pink Swoon - I've had this blusher for ages now and it's always been a favourite of mine, but this February I've found myself reaching for it more and more. 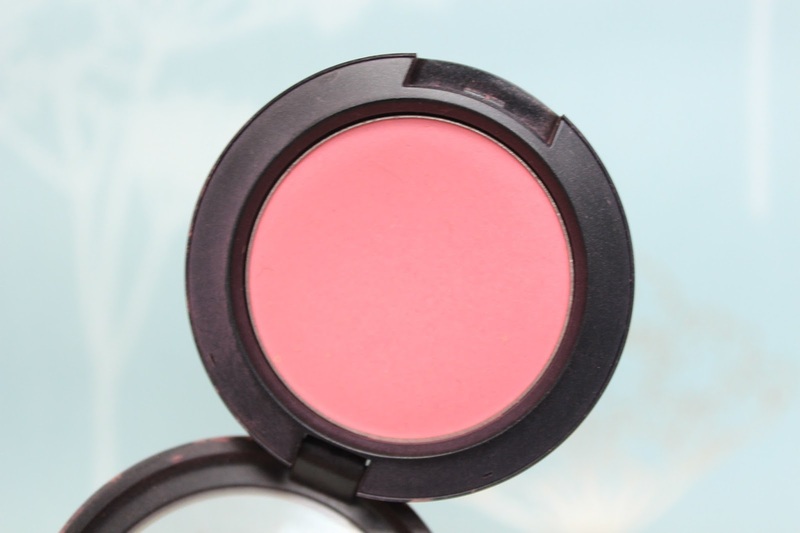 It looks quite bright and scary in the pan, but with a good blusher brush and a light hand, it creates the prettiest pink flush over your cheeks. I use the Real Techniques blusher brush which I find works perfectly with this blusher. Clarins Gentle Exfoliating Brightening Toner (review HERE) - This month's skincare buy was this fab toner from Clarins. After doing some research into the benefits of using a toner, I realised that I really should have started using one years ago, so it was about time I invested in a decent one. This toner is really great at smoothing out my skin and unclogging any pores that may have been missed when cleansing, and I've found that a lot of the small bumps I get have been reduced since using this toner. It really has worked to brighten my skin too, when I use this at night I wake up the following morning with healthy looking radiant skin, what more could you ask for? L'Oreal Elvive Thickening Serum (review HERE) - Since buying this when it was on offer in Boots, I've used it every day and have really noticed a difference in my hair. My hair has been looking a lot thicker and has even started growing faster. I'm not sure if the growth was a direct result of using this serum but healthy hair does grow quicker so I think that this serum has definitely helped. I also love the fact that it thickens your hair without weighing it down like so many other thickening products. Elemis Fresh Skin Quenching Lip Balm* - My lips have been so dry and uncomfortable this month for some reason, probably to do with the wind in my face every morning and night on my walks to and from work. All of my other lip balms were just not working for me this month as my lips were in such a bad condition, apart from this one from Elemis. This little tube has transformed my lips and made them look so much better after applying lipstick. It smells slightly minty too which I think is a nice alternative to the common sickly smell of a lot of lip balms. Mabelline Baby Skin Instant Pore Eraser (review HERE) - I bought this product a while ago now, probably at the beginning of January and at first I wasn't overly impressed. I just didn't find that it worked as well as the Benefit Porefessional, and I stand by that statement, but this month I've been reaching for it more and more. Although it doesn't make your skin instantly poreless like it claims, it has made my foundation apply much smoother and is a great alternative to some of the more expensive options. Pacco Robane Lady Million* - It's not often a perfume makes it's way into my monthly favourites other than my trusty Chanel perfume but I've really been loving this perfume this month. Its a great scent of the colder months and probably the only 'evening' appropriate perfume I own as I usually go for light and fruity scents. This perfume is quite rich and sophisticated, with notes of honey, jasmine and rasberry and has an amazing staying power. If I put this on when I go to work, it's usually still there when I return hours later. What were your favourite products this month? I'd love some product recommendations! I've heard great things about the soft and gentle highlight. I need to get my hands on this! There's just so much hype out there about MAC MSF in Soft & Gentle. I'm just dying to have one! soft and gentle looks so perfect, definitely tempted to pick it up..
the blush is such a pretty colour - perfect for spring! i've been loving my sleek face form! The blusher is so pretty, I love it. And I've wanted to try the Clarins Toner for too too long...I might just have to bite the bullet and purchase it. That blush is so so pretty! I really want to try some of MAC'S MSFs, they all look so pretty! Pink Swoon is gorgeous. I have my eyes on it as well as Mocha. 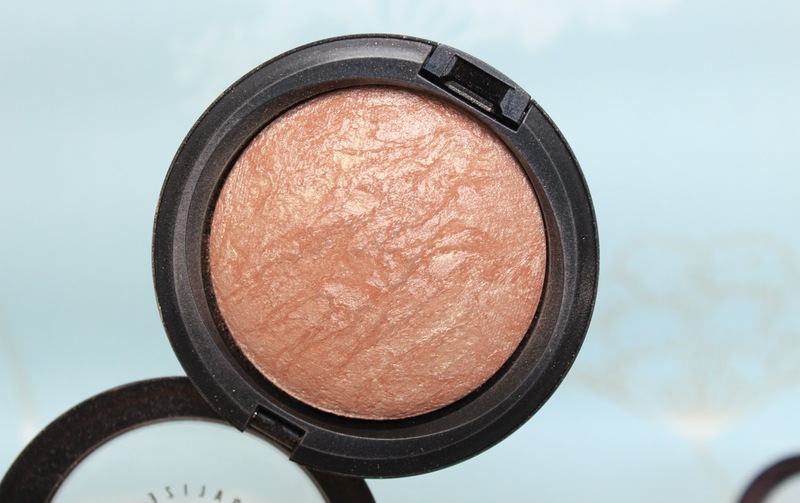 I currently only own Fleur Power when it comes to MAC blushes and I absolutely love it. Not sure why I don't have more MAC blushes yet! Some great favourites here - I haven't actually tried that many of them, may have to go and pick up a few... thanks! Thanks for sharing your monthly faves, I love toners that brighten up skin - I'm so addicted to those! First good luck with uni! 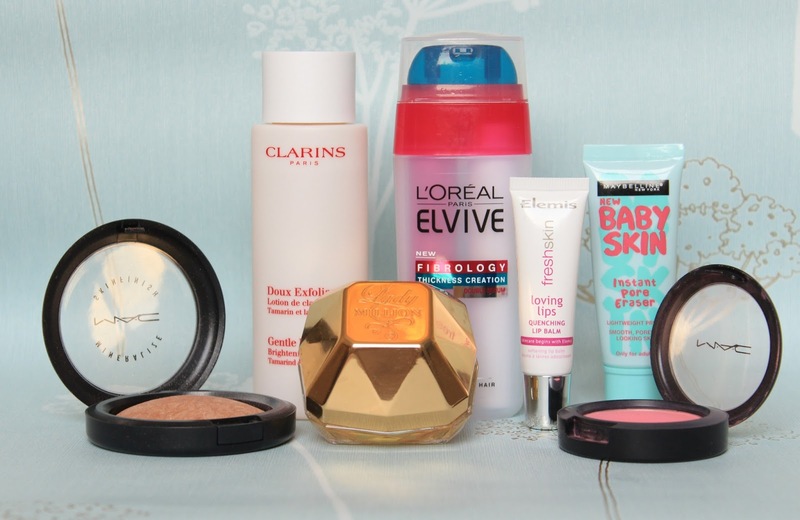 I love the choice of products you have here, I have been using the Mabelline Baby Skin Instant Pore Eraser mainly to work on models before shoots and I can see where you are coming from. I found that defiitely helps to have a smoother foundation base but it's not as good as other pore minimiser.